Concrete jungle where dreams are made ooooof ... Ahem. A really simple but pretty striking EOTD done with the already, much blogged about, Urban Decay New York Book Of Shadows. I love everything NY, so I had to buy it. It is beautiful. 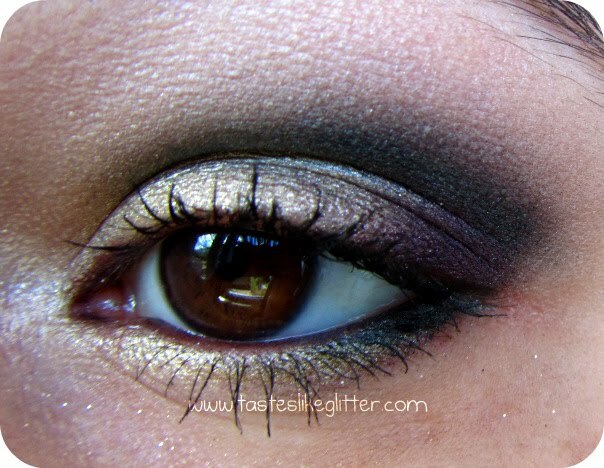 Remember in my Purple Lust EOTD, I talked about camera issues? I decided to try today, for the first time in ages to take eye close ups with my Canon. It worked to a degree but I had to crop my face out. Hence the not so sharpness. It's better then what I was using before though. Urban Decay Eyeshadows - Maui Wowie (inner half of lid, lower lashline), Rockstar (outer corner, waterline), Loaded (crease, lower lashline). I'm going to try and use my Canon for all closes up from now. The comparison just looks totally different. Anyway enough of camera talk. 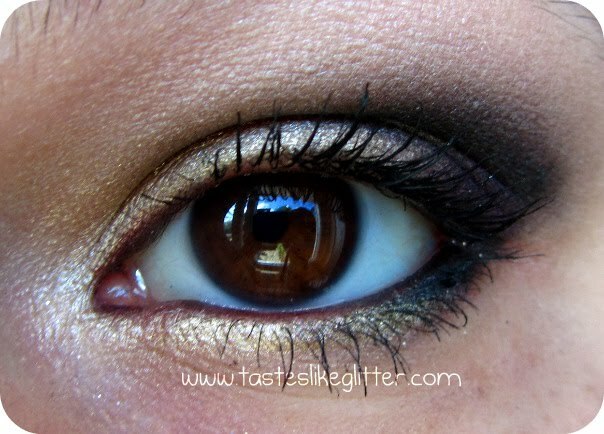 What do we think of the EOTD? Do we likes?! 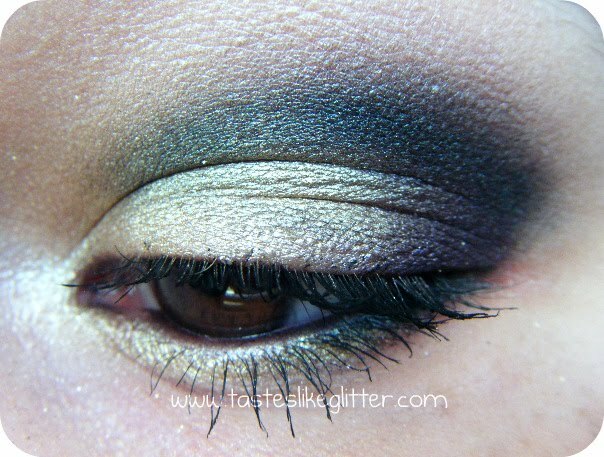 It's really simple and easy to do but has a really striking effect.